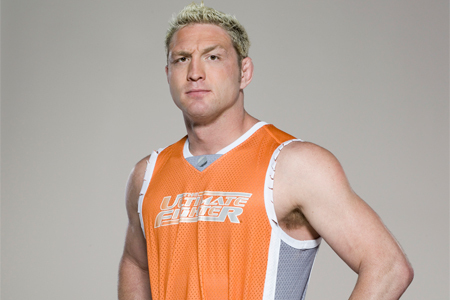 According to TMZ.com, former UFC fighter Jason “Mayhem” Miller (Pictured) was arrested Monday for breaking into a church and creating chaos – while naked. The O.C. Sheriff’s Office told the celebrity gossip site they received a call early this morning from the Mission Hills Church in Mission Viejo, CA about a possible burglary in progress. When authorities arrived on the scene, the place was completely trashed. CDs, books and broken pictures were scattered throughout the church, and the first two floors were covered in white fire extinguisher foam. The report says officers found Miller naked on a couch. The middleweight was allegedly awake and coherent, though authorities couldn’t determine if he was under the influence of any substances. The 31-year-old was taken into custody for burglary and is currently being medically evaluated. Miller was cut from the UFC in May after dropping a lopsided loss to C.B. Dollaway at UFC 146. However, according to UFC president Dana White, it was the “crazy [expletive]” that happened backstage that got him axed.